Please note that Monday, January 28 is Australia Day. 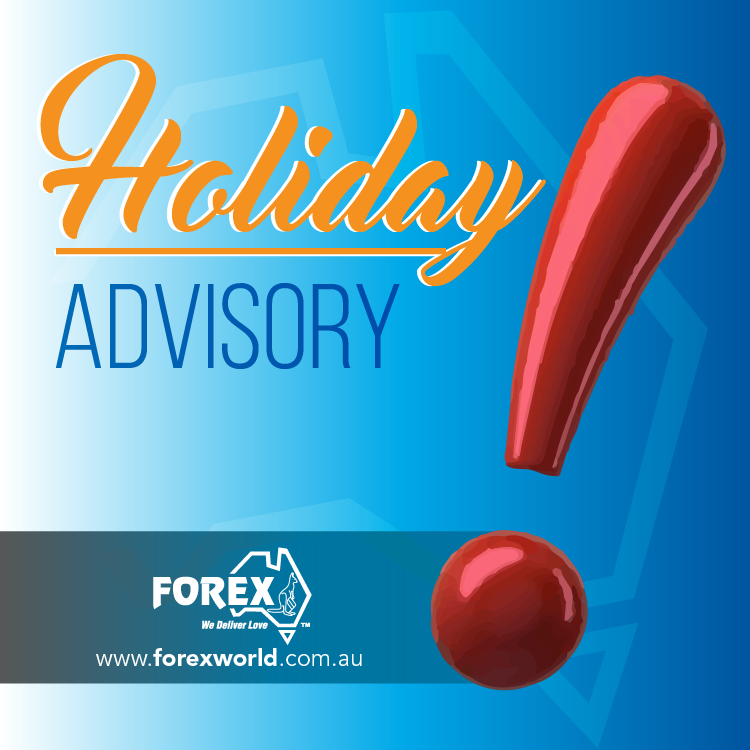 Forex World Australia shall be closed for the Holiday. All inquiries and transactions placed on the 28th of January will be processed and replied back on January 29, 2019 Monday. We hope you will enjoy the long weekend with your family and friends.